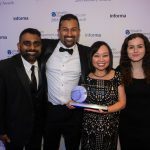 Your organization has decided that implementing an electronic document management system—or, if it also includes the ability to automate business processes, an enterprise content management (ECM) system—will help lower costs and increase productivity. However, with so many different ECM and document management systems out there, it can be hard to select the right one for you. 1. What are your organization’s goals for the document management or ECM implementation? 2. Do you want your document management or ECM system to integrate with the other software applications your organization already uses? 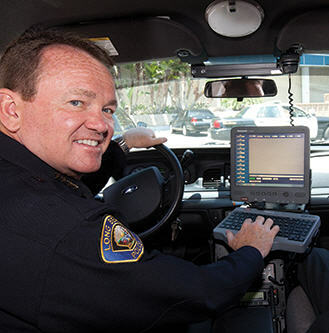 Long Beach Police Department (LBPD) uses Laserfiche ECM to securely access documents from the field. The Long Beach Police Department has integrated ECM with business intelligence and police records management applications to decrease gang crime. The Fertility Centers of Illinois has integrated an ECM solution with its EMR system in order to give doctors instant access to complete patient records that include lab results, X-rays and historical medical data from outside providers. Bakersfield, CA, uses ECM to track costs associated with graffiti cleanup and prosecution. Idaho-based DL Evans Bank has integrated ECM with its CRM system to accelerate and improve customer service. If integration is important to your organization, you must ensure that the systems you evaluate have an open architecture, and that the vendors you are evaluating have experience with the type of integrations you will require. 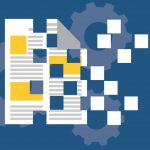 A document management or ECM system can dramatically improve your organization’s information management and business productivity, but too many systems demand extensive domain expertise from expensive programmers, analysts and consultants. By looking for a system that fosters individual knowledge and expertise through the use of prepackaged code, active developer and support forums, downloadable templates, preconfigured workflow activities and an active user community, organizations eliminate the need to rely on outside experts.